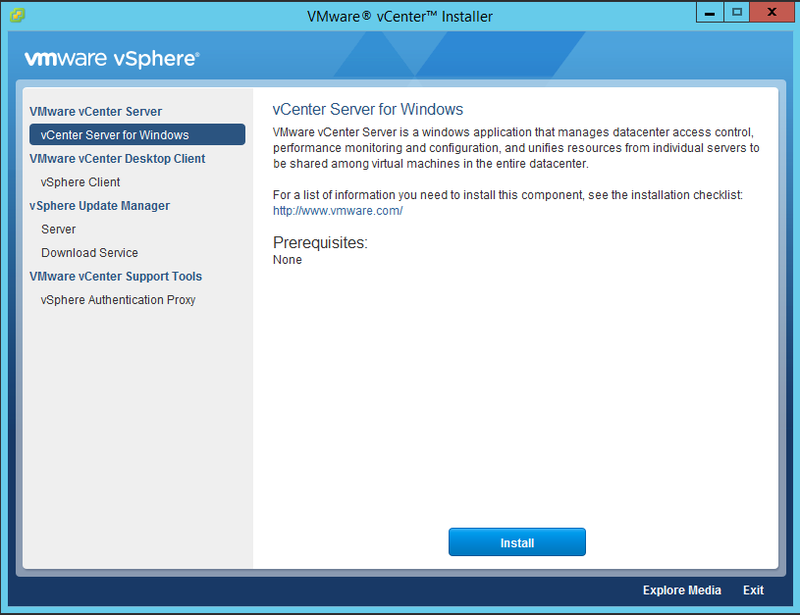 First You will have to Download the vCenter Server From VMware Site. After Downloading the ISO Mount it on the CD Drive. Open the Mounted Path Double click the Autorun.exe to start the process. 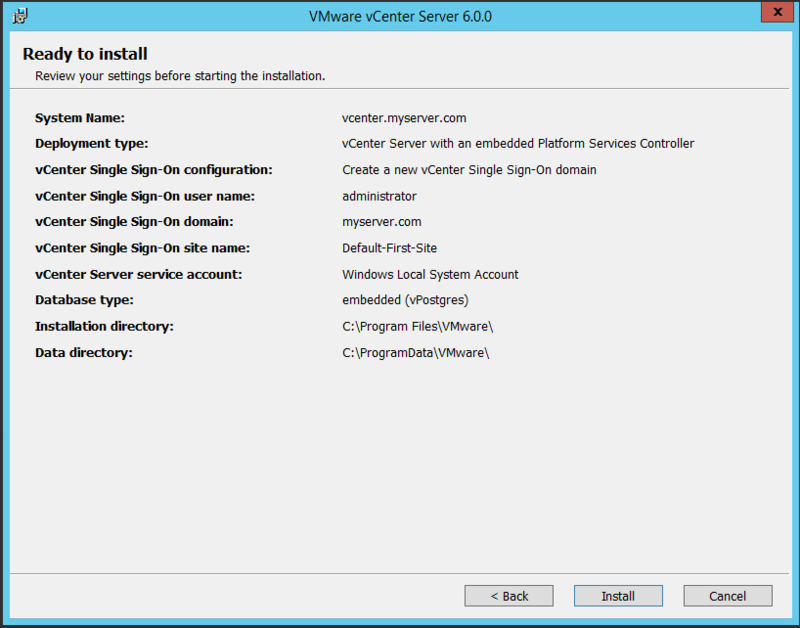 Now you will get the VMware vCenter Installer Choose the vCenter Server for Windows & Click Install. 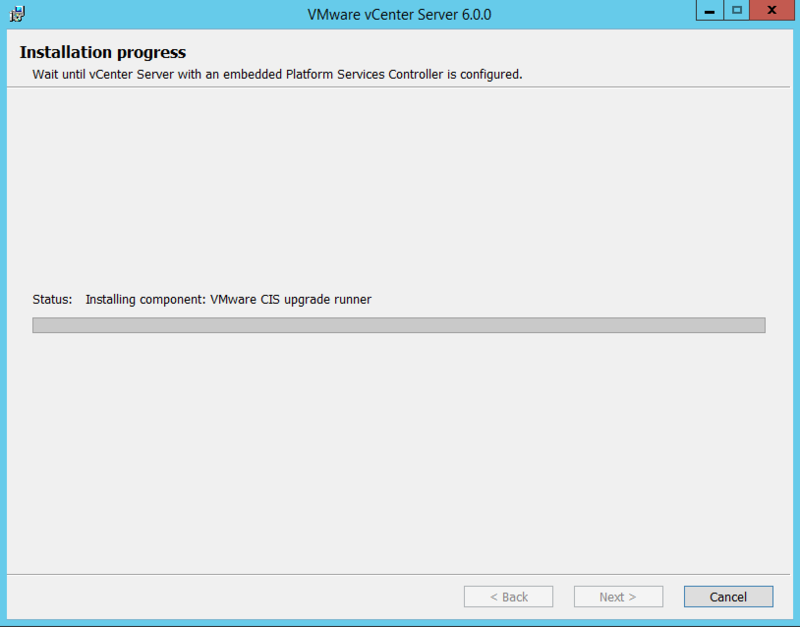 Now VMware vCenter Server Installer starts just click on Next to Start the Installation Process. 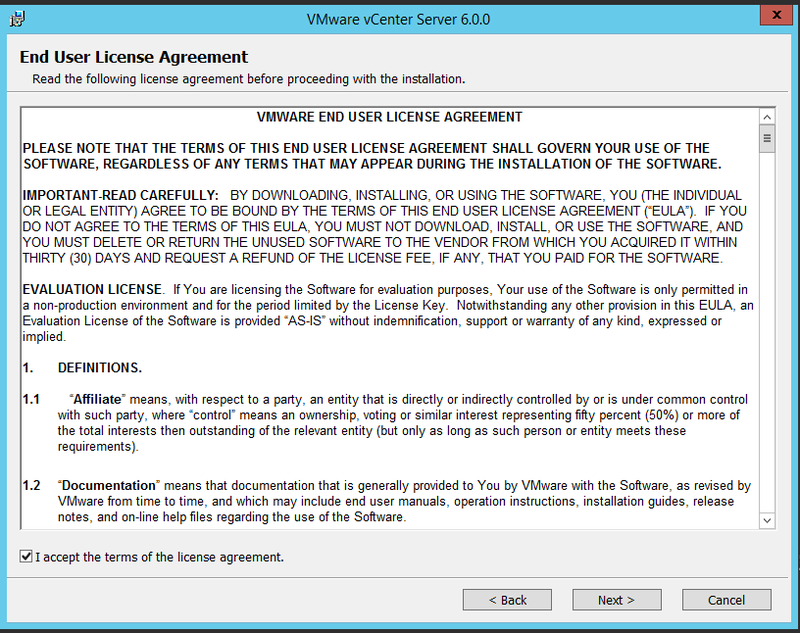 Accept the License Agreement Provided by VMware & click Next to proceed. 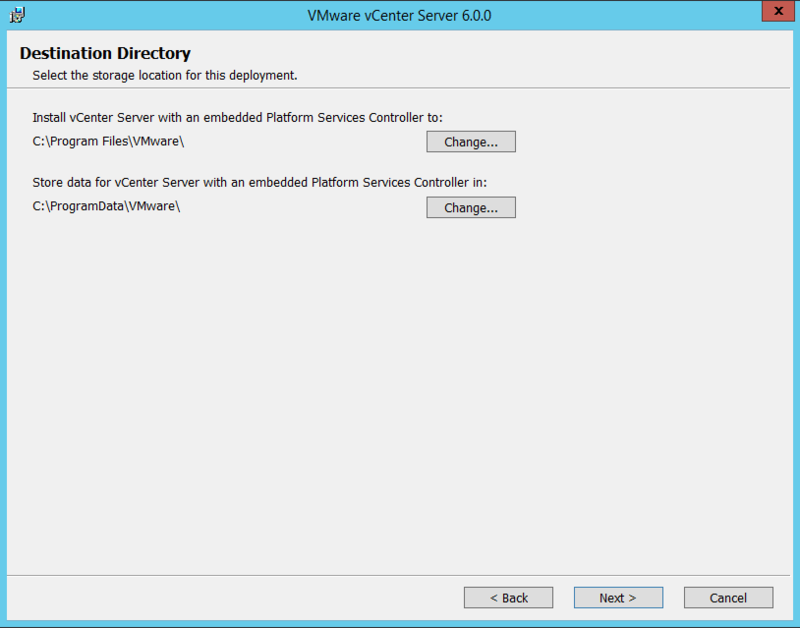 You can use the vCenter Server with Embedded Platform Service Controller. 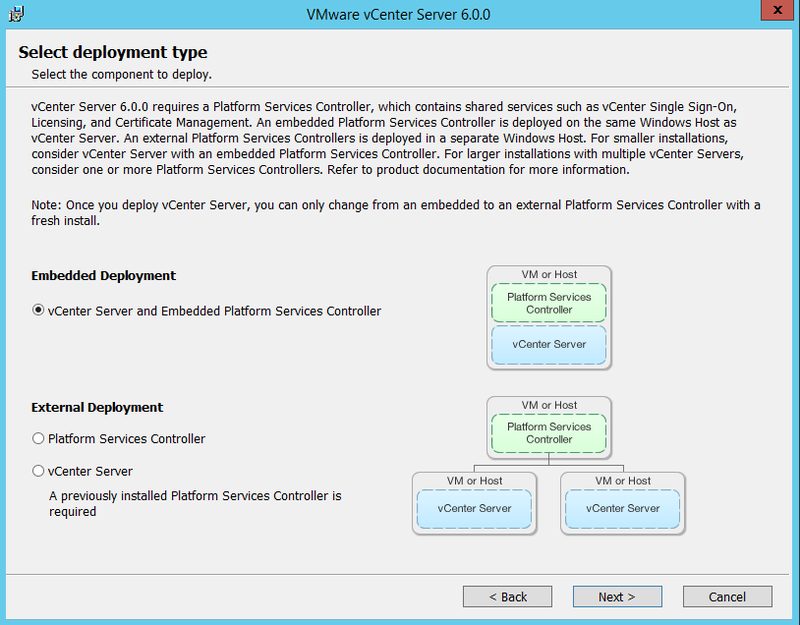 You can Install only Platform Service Controller or You can only install the vCenter Server which will require the already Installed Platform Service Controller. But in our Environment we are deploying the Fresh we don’t have any existing infrastructure so we will choose the first Option & Click Next to proceed. 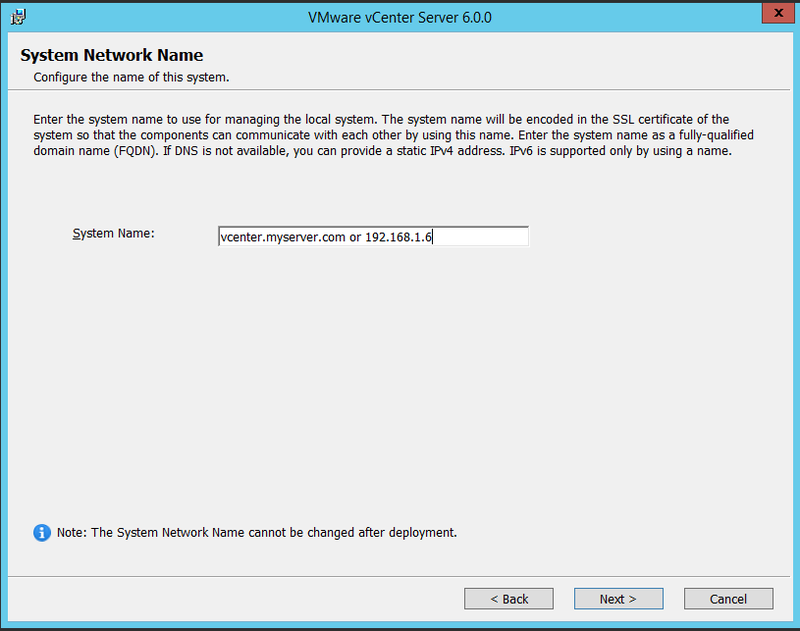 Here you will have to provide the System Network Name which will be used to access the vCenter Server from vSphere Client or Webclient. You can provide the Hostname or You can Provide the IP address which should be static. 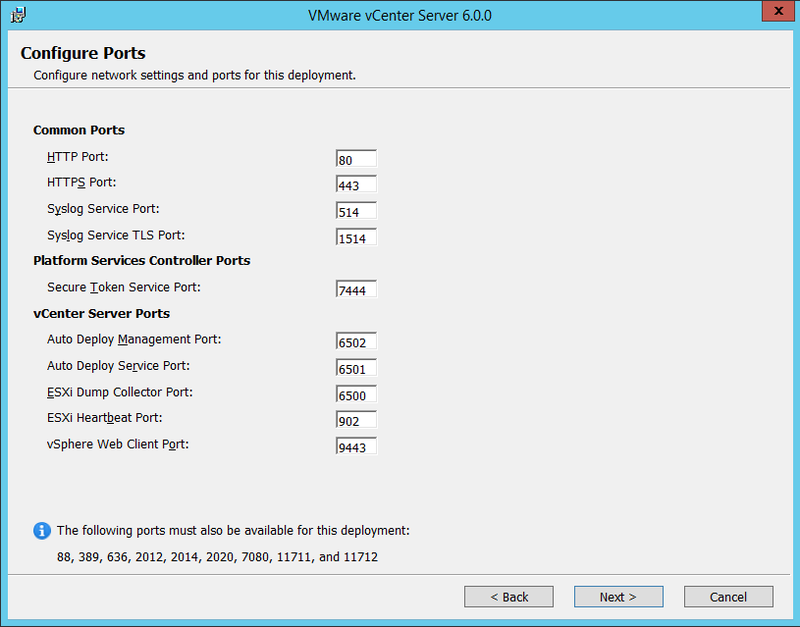 At this point you will have to configure the vCenter Single Sign-On. 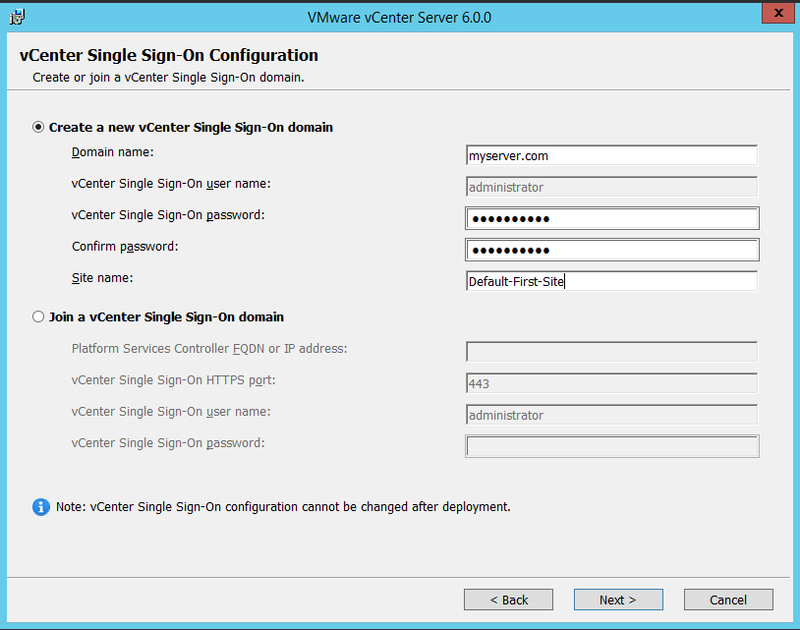 If you already have the Single Sign-on you can directly connect to join to vCenter Single Sign-On. After Filling details click Next to proceed. 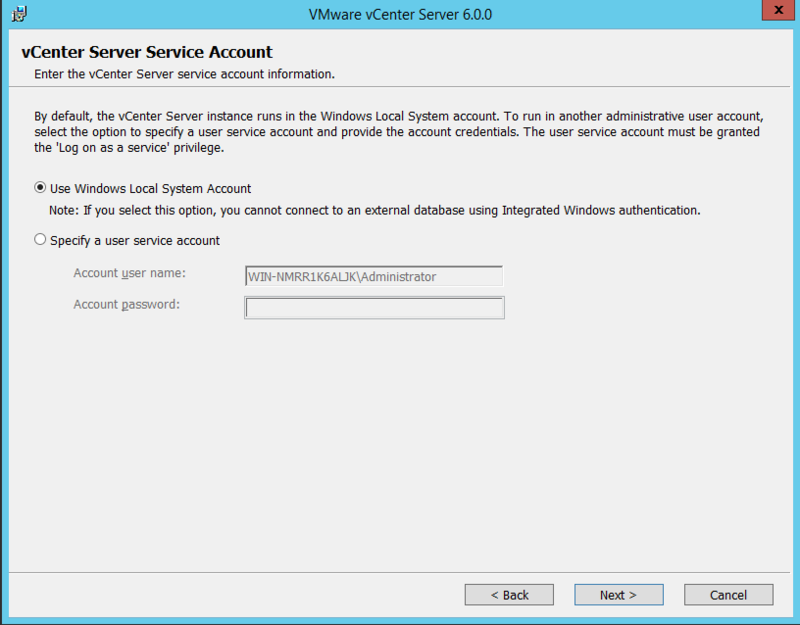 Here you can use the Local Windows Account or Specify the User Service Account. We will be using the Windows Local System Account. Click Next to proceed. Database Setting : You can use the embedded Database vPostgres or Provide the external Database Details. 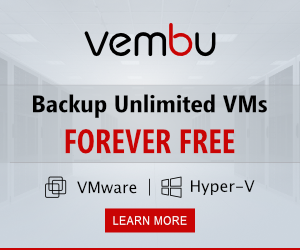 We will be using the Embedded vPostgres Database & Click Next to proceed. If You want to use External MS SQL Database check links at the end of this post. Destination Directory: You can change the Storage Location or leave it default & Click Next to proceed. At this Point you can review the whole setting which you have done make sure all the setting are correct & Click Install to start the installation. 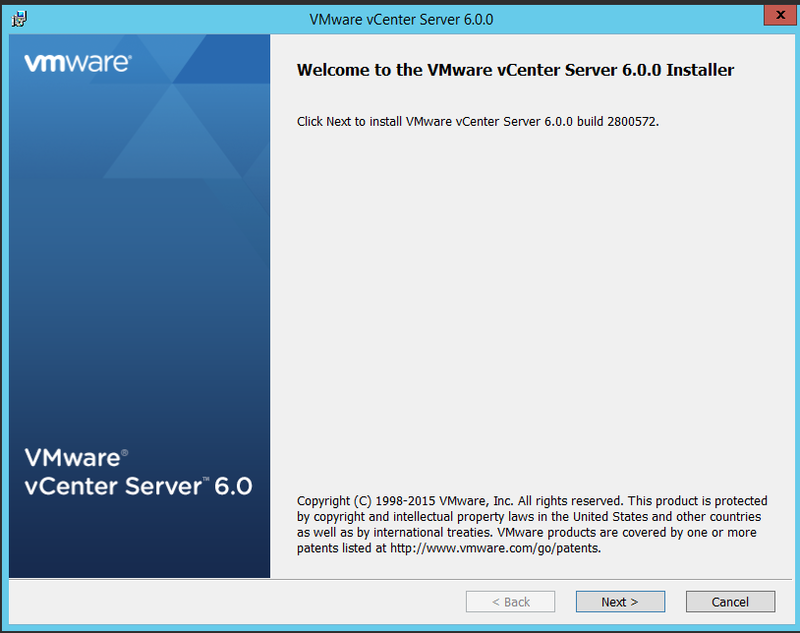 Now it will start the installation of vCenter it will take few time to install till that time you can have your coffee. 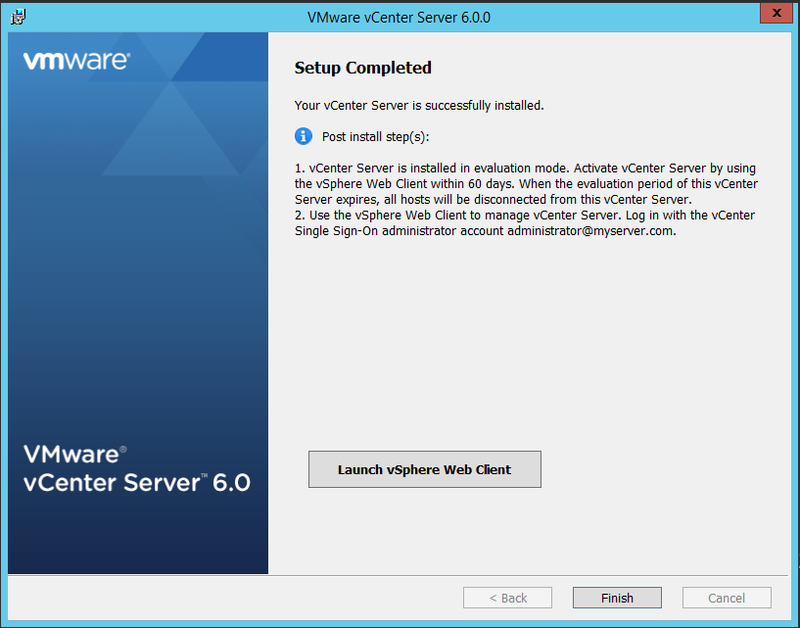 After successful installation you will see the below screen you can open the vSphere web client or just click Finish to close the dialog box. 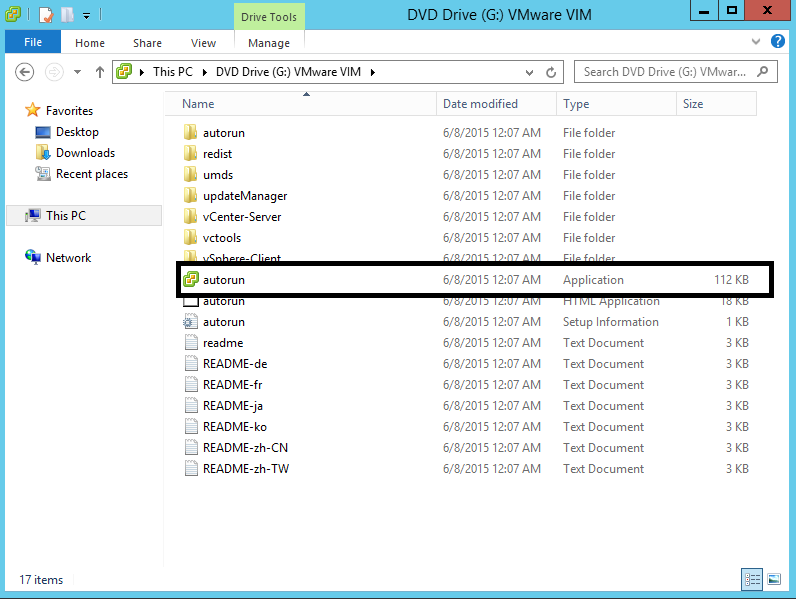 You can access the vSphere web client by clicking on the Launch vSphere Web Client button. You can also access vCenter server by providing the IP or Hostname of vCenter Server into browser address bar. 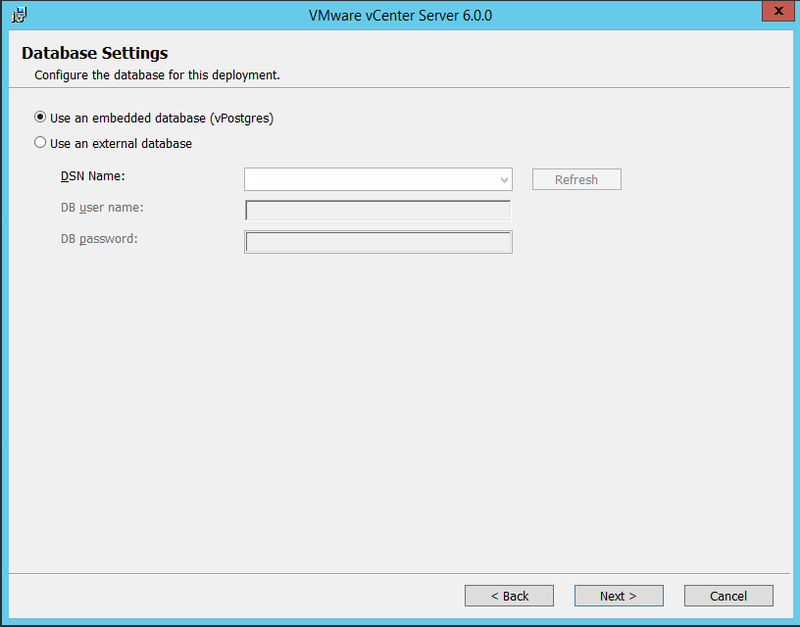 How to create Database & DSN for vCenter Server ? Very Informative and great article.. i like it.. Thank You Duggesh for compliment.